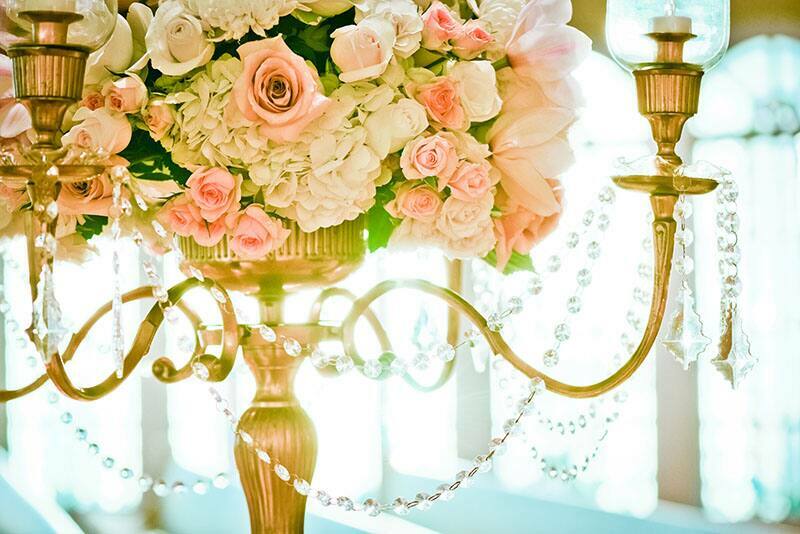 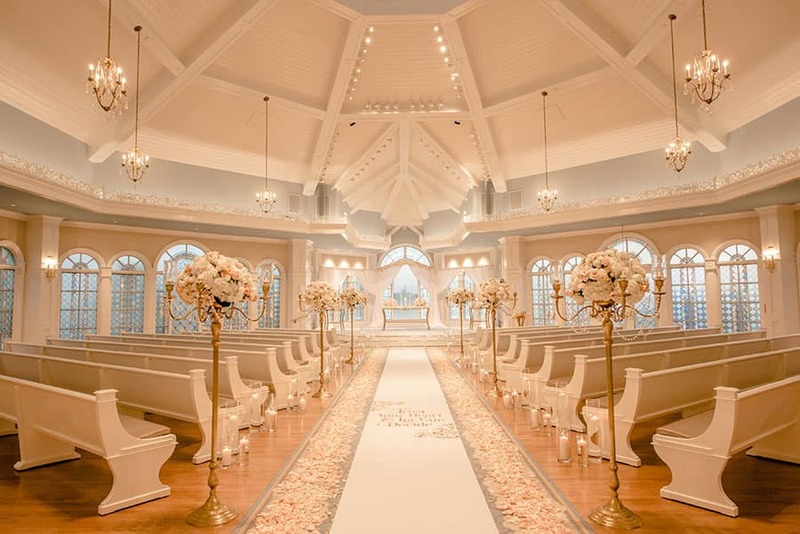 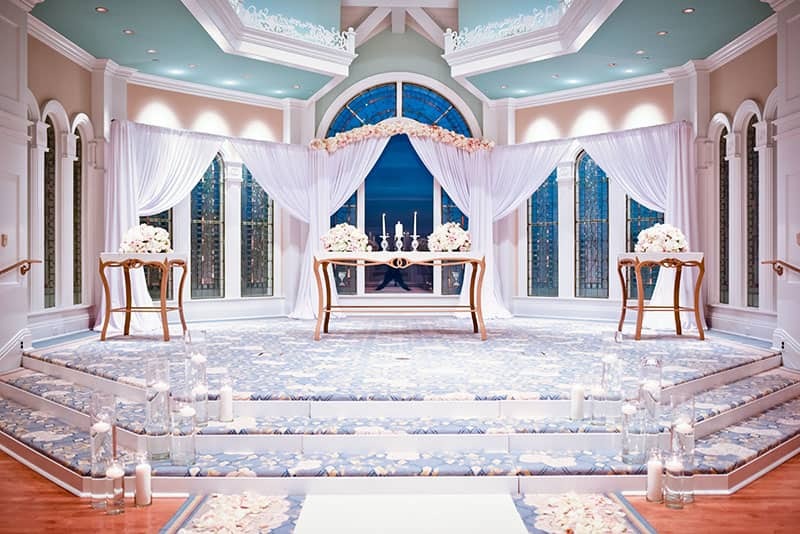 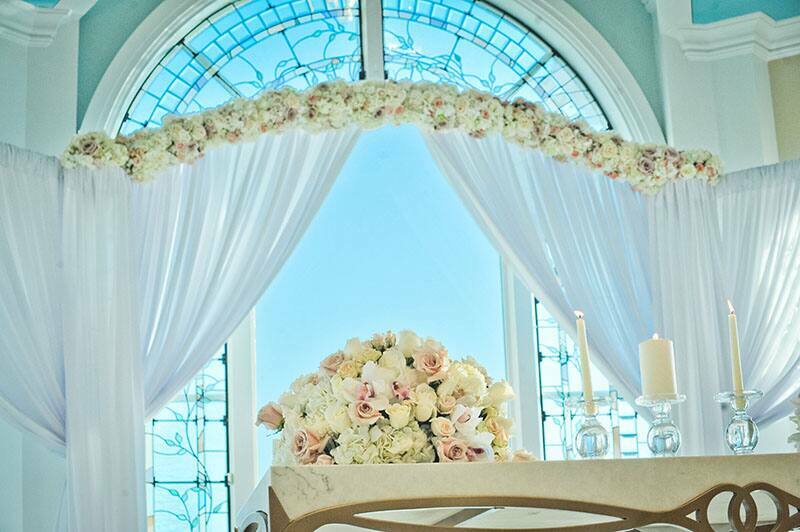 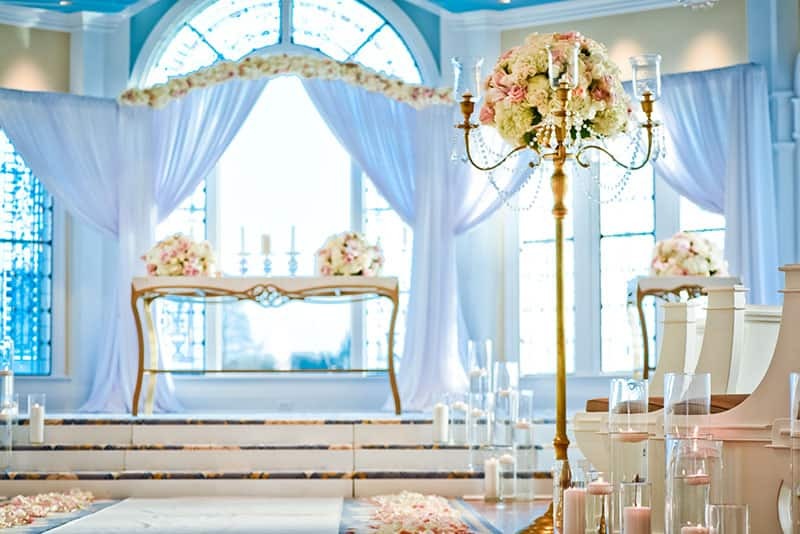 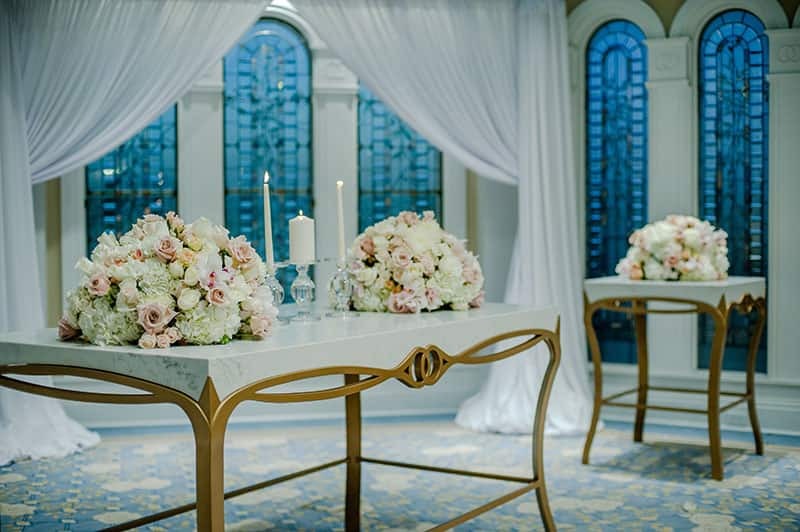 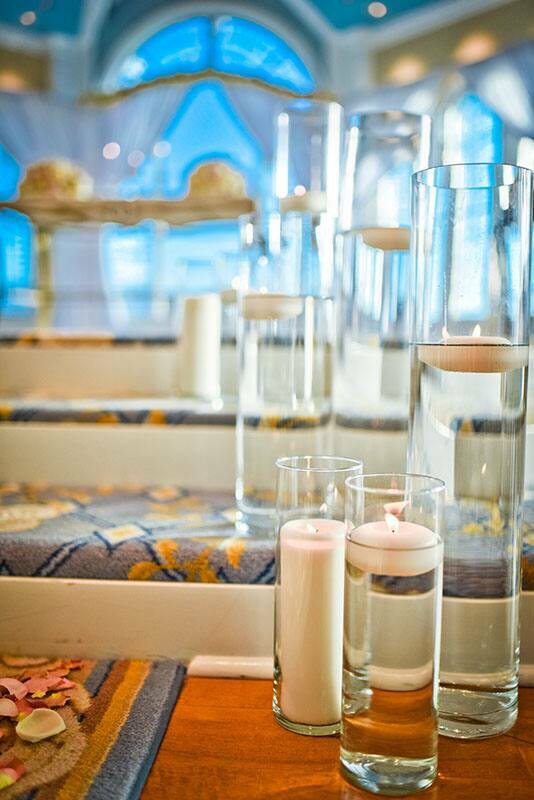 Disney's Wedding Pavilion looks as glamorous as ever with this decor look. 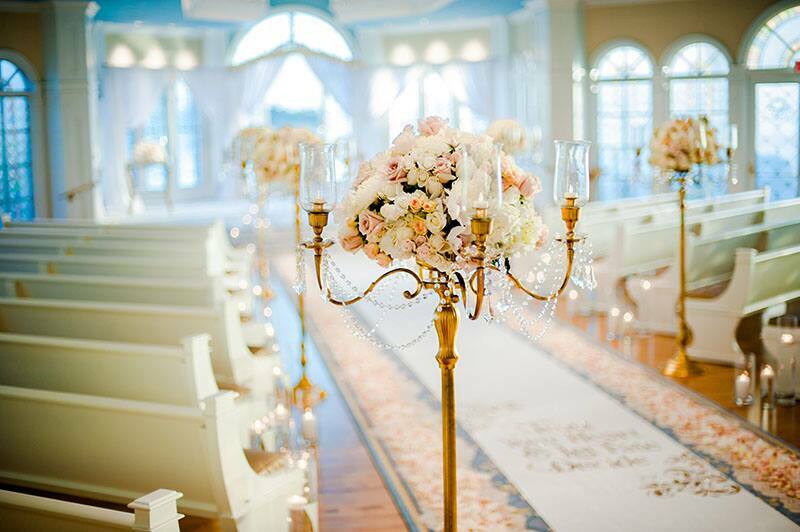 The gold candelabras topped with elegant floral arrangements line the aisle all the way down, accompanied by aisle petals and beautiful floating candles. 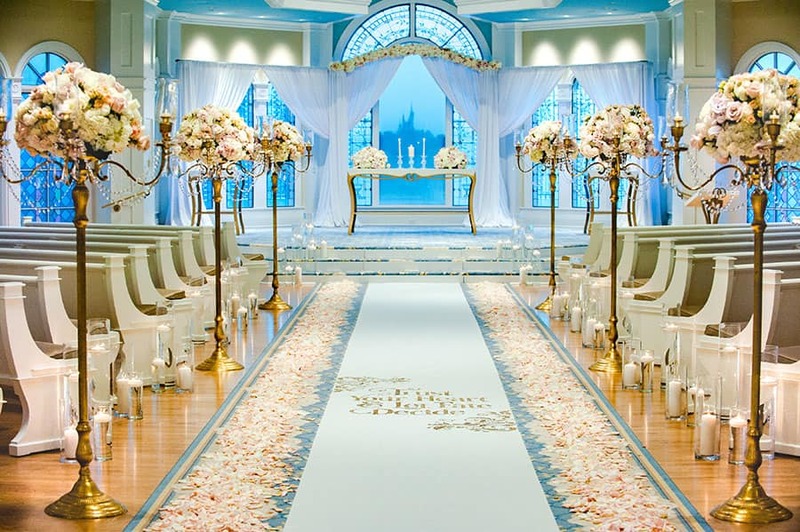 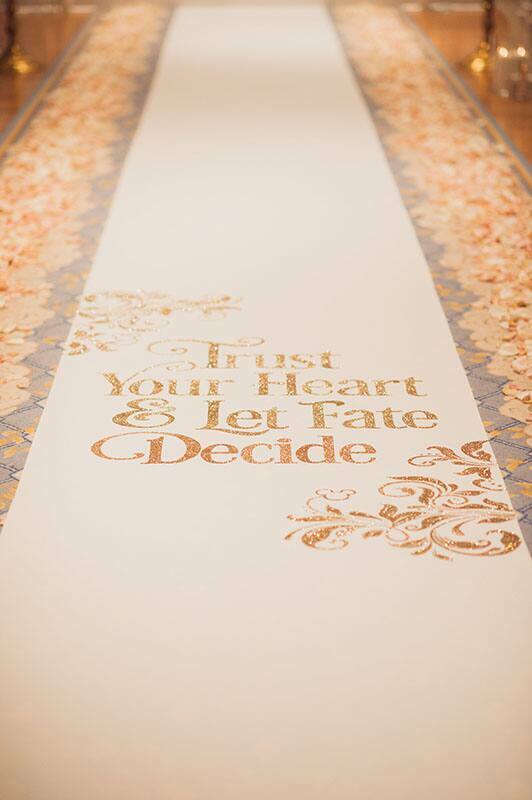 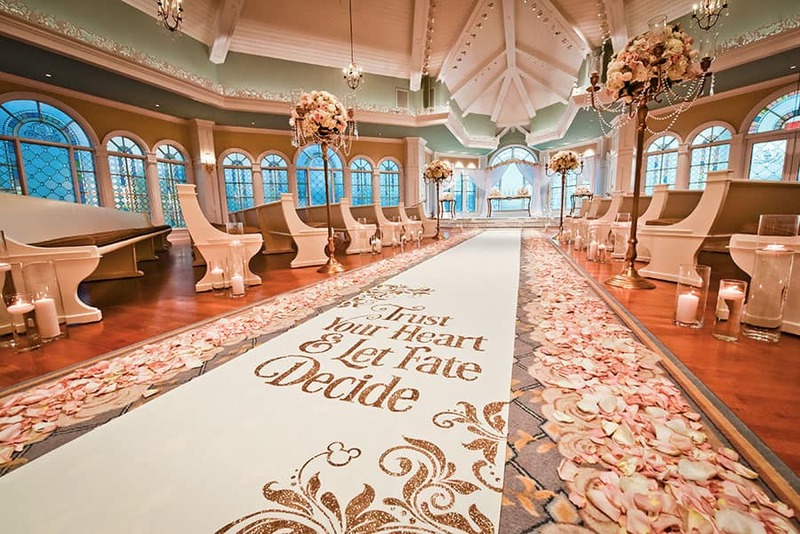 The aisle runner with the sparkling quote ties well with the metallics and the open fabric arch perfectly frames Cinderella Castle in the distance.